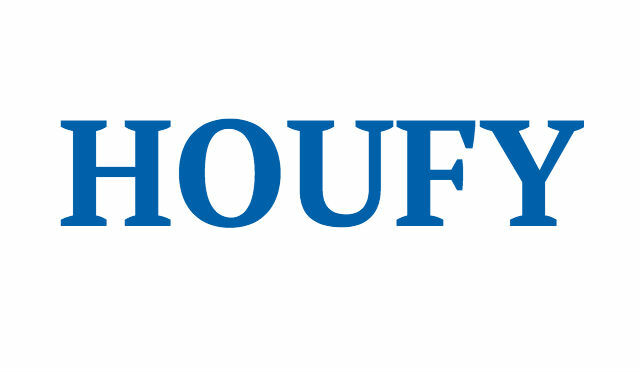 To follow Roselle Levy, please log in to Houfy or create an account. Stylish custom-built tri-level contemporary home, pleasant walk to beautiful ocean beach. Tranquil and beautiful setting for an unforgettable island visit; views overlooking Herring Creek Farm and Katama Plains. The house is beautifully furnished and decorated, and meticulously maintained. Three levels of living space with bright natural light throughout: a spacious living area with cathedral ceiling great room opens to a large and bright, fully equipped kitchen (22 ft of counter space) and sun-filled dining area (seats up to ten guests). The first floor great room is designed for relaxing; furnished foremost for comfort, gently cooled by a ceiling fan and softly lit in the evening by track lighting. Skylights flood the great room with natural light and a wall of three sliding glass doors opens to a large South-facing deck. Great room seating includes a comfortable sectional sofa and recliners. There is one bedroom (queen-sized bed) on the first floor and a full bath (with a shower). The house features a second floor sitting area overlooking the first floor living space. There are two bedrooms (queen-sized beds) and two full baths (one with a shower and one with a shower/tub) on the second floor. The third floor includes two distinct spaces in an open floor design: a sitting area with a queen sized sofa bed and a sleeping area with two twin beds. There are sliding glass doors to balconies in the first floor bedroom, in one of the second floor bedrooms, and in the third floor sitting area. The bedrooms are large, airy, and comfortably furnished. In addition to the bed sizes listed, each room has bedside nightstand(s) with lamps, lovely vintage bureaus, cottage-style headboards, a large closet, and a comfortable chair. The four bedrooms accommodate eight guests; the third floor sitting area has a queen sized sofa bed for two additional guests. Quality bed linens, coverlets, quilts, and pillows are furnished. Other sleeping information: two porta-cribs with custom sheets are available. In addition to night time use, these cribs, due to their portability and mesh construction, may be used indoors or out during the day for baby's nap time or play time. The bathrooms are large and bright. Vanity sink cabinets provide ample storage. There are large mirrors over the cabinets and generous lighting including vanity and overhead fixtures. Kitchen: microwave; dishwasher; gas range top and oven; refrigerator/freezer with ice maker; single cup and drip coffee makers, coffee grinder, a full complement of cookware, bakeware, and utensils; a lobster pot; a range of counter-top appliances including a full size food processor and mini-prep food processor, blender, mixer, waffle-maker, and toaster; island & regional cook books, and plentiful tableware & serving ware for up to ten guests. Adjacent to the kitchen are the clothes washer & dryer. Dining: The dining table seats four to six for an intimate dinner and expands to comfortably accommodate up to ten guests. A highchair and booster seat are available. Entertainment: Wireless high speed broadband available throughout the house. Blu-ray player (2), multi-disk CD player, radio tuner, and speaker, 46'' HDTV with premium cable programming in great room, 32'' HDTV with premium cable programming in second floor loft, 32'' HDTV in third floor sitting area, bedside charging stations (3), and iPod docking station with speakers. More entertainment; dvd/video library including family, adventure, comedy, and drama for children and adults - many are family favorites, and a selection of adult and children's books. Adult and children's board games include backgammon, checkers, chess, Chinese checkers, monopoly, scrabble, clue, playing cards . . . and much more. Outdoors: Large South-facing deck on first floor overlooking lovely landscaped lawn & plantings, Weber Genesis gas grill, dining & deck furniture, fully enclosed private hot/cold water shower. For the beach: chairs (8), umbrella, beach towels, cooler (small and large sizes), large beach tote, and drink/water jug. General: Ceiling fan in great room, tabletop size fans for each bedroom, one tower fan, two hair dryers, an iron and ironing board, and a large collection of activity guides, restaurant guides,and walking/hiking/biking guides and trail maps. Other: Bed linens & bath towels; kitchen and bath paper goods; laundry & dishwasher detergents; and a full complement of dried spices and herbs, condiments, and kitchen staples are provided. A house cleaning prior to arrival and linen service to launder household linens at departure are included services. Our house is filled with wonderful features to make your vacation truly pleasant and carefree! Pets are welcome with owner's approval. Please provide information about breed, age, training, temperament, and travel experience of your pet. The island of Martha's Vineyard, offers dining experiences to please every palate and purse. The host has some flexibility in the Spring and Fall seasons; during the Summer season there is less flexibility. 2 Large, bright, and airy room. Glass doors to first floor balcony and deck. Full bath adjacent to bedroom. Easily accessible for guests who do not wish to climb stairs. 2 Spacious room on second floor with glass sliders to balcony. Bath adjacent to the bedroom. 2 Large, half-vaulted ceiling bedroom on second floor. Bath adjacent to bedroom. 2 Large, half-vaulted becroom area on third floor. Skylights above the beds - sleep under the stars! Pets are welcome; must be approved by host on an individual basis. Our home is fully equipped for infants and young children: two porta-cribs (with linens), highchair, booster seat, play table and chairs, sport umbrellas (for sun protection), and a variety of other furnishings and accessories are made available for use by families with young children. This home is not wheelchair accessible. It is accessible to guests who need a one floor accommodation. There is a bedroom and a full bath on the first floor allowing guests to avoid climbing stairs (beyond the stairs required to enter the house). Our home does not support parties or events. An event (and/or party) are defined as a gathering which exceeds the guests permitted overnight in the home according to the guest's rental agreement. There is a private drive which accommodates up to three vehicles. The host provides quality and plentiful bed, bath, beach, and kitchen linens. Also provided are paper goods including toilet and facial tissues, and paper towels. A full complement of kitchen staples: spices and herbs, condiments, and cooking and baking basics are stocked for the convenience of our guests. A spacious deck and three balconies provide ample space to enjoy the outdoors. For 2019 we are adding a bluestone patio to further our enjoyment of the outdoors. The sun, breezes, and the sound of the waves on the shore enhance the beautiful surroundings. A full complement of "technology services" is provided. Unlimited secured wireless internet, premium cable tv, stereo surround bar for music (bluetooth enabled), devices for charging a variety of personal electronics. A fully stocked cook's kitchen with everything a cook (or two, or three . . . the kitchen is quite spacious and well-stocked) might need for preparing meals, including meals on our Weber Genesis gas grill. Host is very conscientious about safety and security for guests. The home is fully inspected and meticulously maintained - all safety and security devices/systems are tested periodically to assure normal functioning. Emergency services contact information is provided to our guests (police, fire, medical, pet, etc). The house is private. There are not any shared facilities or amenities. Katama Delight is the all year round retreat of a family of five residing in Boston, MA. We love Martha's Vineyard and are happy to share our home with you. Our home is a place to relax, unwind, and gain refuge from the routines of daily life. Come relax in the sun and ocean breezes with a good book, or gather family and friends for conversation. Walk the beach and nature trails, cycle along the island's many miles of bike paths, and enjoy golf, tennis, fishing, swimming, and water sports. I was first introduced to Martha's Vineyard when visiting with high school friends. I returned to the island year after year, staying in Katama, where I had first discovered the magic of the island. Later, when my young family began to plan summer vacations, we found the island offered everything we desired. We adore Katama and the island. I have treasured my visits for many years and I have so very many family memories of our Katama holidays. Our Katama home is a truly special place. We open our home and invite you to enjoy the beauty and tranquility of this magical island. We have over twenty-five years of experience providing memorable family vacations to our guests. Stay ''with us'' and enjoy the Vineyard experience. Our home is best suited for multi-generational families or two families who wish to vacation together. We endeavor to offer a "home away from home" for families wishing to experience a traditional New England seaside vacation. Payment by check only. Schedule of payments is described below and in the rental agreement. A customized schedule of payment may be arranged with the owner. Security deposit policy is available upon request. It is fully refundable and is typically returned with 48 to 72 hours following end of stay provided home has not sustained any damages. Full details are available upon request. Please note: A state short term rental tax is effective July 1 2019. Stays prior to July 1, 2019, or which being prior to this date, will not be taxed. Please consult with owner to confirm the total cost of your stay. Questions are always welcome. There are not any cancellations. Transportation to the island is limited and must be reserved - often months in advance - and is not transferable from one guest to another in the event of cancellation. Owner will work with guest in cases of extreme need/emergency, but policy in rental agreement is "no cancellation". Travel insurance is highly recommended. Complete house policies are available upon request. They are intended to provide an enjoyable and safe environment for our guests and to safeguard our home. Our policies are reasonable, and our guests have been very responsible and considerate of our home. Guests return year after year to Katama Delight to enjoy our home and the island, and our hospitality. House rules are available upon request. There is public bus service throughout the island which is readily accessible from our home. Host arranges ferry transit to the island for guests, and advises on all transportation issues; questions and advice regarding travel to the island and transportation on the island are welcome.